KDE is de-camping to the far west of Europe today to A Coruña in Galicia. In this north west corner of the Iberian Peninsula the sun is warm and the air is fresh. KDE contributors of all varieties will be spending a week in talks, discussions, hacking, renewing old friendships and getting to know people new to our KDE Community. Topics will include our flagship Plasma desktop but also an exciting announcement from the Plasma developers which will take Plasma beyond the desktop again. We'll be hearing about the next version of e-mail and calendar middle layer Akonadi. KDE is moving out of its transitional desktop ecosystem as seen in a talk about WifiFM. One of our flagship but new to the community applications is Kdenlive and we'll be reviewing the previous 10 years of this application and looking at the next 10. A project called Shashlik, which has been exciting the social media world, will be revealed. A week of Birds of a Feather sessions follows the talks including some bling in VDG UI Design Open Session, a little je ne sais quoi in KDE France BoF, our desktop and beyond in Plasma General Topics, a day for planning life beyond X with Wayland and two half days planning for life in the leaderless Kubuntu. 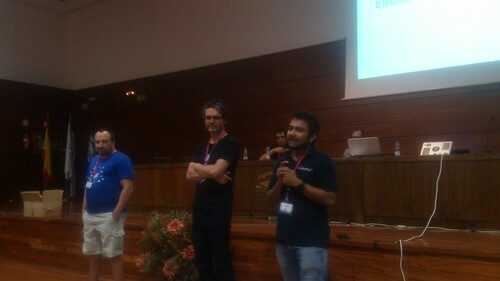 The fun has already started with the annual conference in Spain, Akademy-ES which is happening yesterday and today. 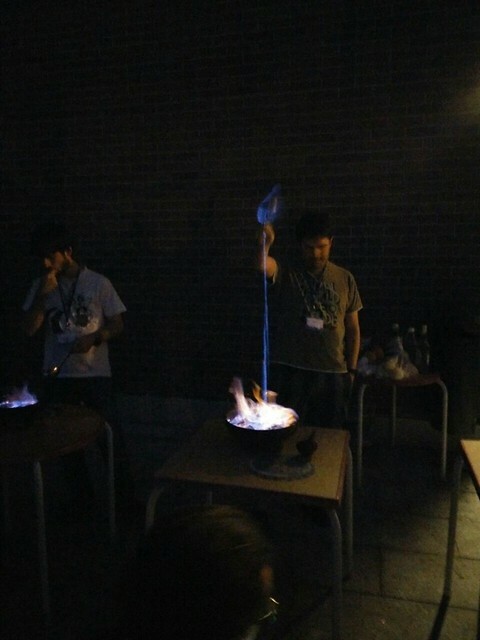 Spain has one of the most dynamic and active free software communities and Akademy-ES always fills up with talks for those who habla Castellano. Talks have included discussing Microsoft's attitude to standards and documenting, the history of search frameworks Baloo, behind the code by Victor the Sysadmin and lighting talks including one on the successful Barcelona Free Software Hackers meetup. Also today is the Annual General Meeting of KDE e.V. our legal body. Here we have voted on a new board member Sandro Andrade from Brazil. Sandro has been talking about KDE and Qt at conferences across the continent such as FISL and organising Lakademy, he recently finished his PhD and was looking for new challenges to fill in spare time, KDE e.V. has just filled that slot. We also voted on new board members of the KDE League, reviewed the outcome from Lydia's Evolving KDE questionnaire and heard from the sysadmin and community working groups about their work for the last year. A video from our treasurer Marta reviewed the accounts over the last year which while full of challenges are in a pleasingly stable state.